At BostonHCP, we swiftly grasp and reflect key aspects of your business and culture, weaving those into our everyday recruitment efforts. As embedded resources, we serve as extended members of your core team; this enables us to “move beyond buzzwords” and—ultimately—reduce the time and cost of hiring. We understand the challenges. We understand the market. We understand the players, and we understand the critical impact of each hire. It’s no surprise that BostonHCP’s executive search business grew by 90% in 2017. We sync uniquely qualified candidates with strategically appropriate opportunities. More often than not, that alignment isn’t obvious at the outset. That’s where we play an integral part; we have the insight and intuition required to think bigger, broader, and better. Traditional retained searches often prove fiercely expensive, particularly for early and mid-stage organizations, but our pricing model eliminates the egregious costs associated with landing C-suite players. We manage your recruiting strategy from inception to hire. This includes creating recruiting strategy game plans, sourcing and screening candidates, managing scheduling, owning the “candidate experience,” extending offers, consulting with hiring managers on best-practice processes, and serving as thought partners to C-level executives. 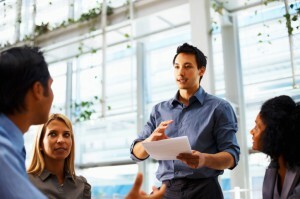 BostonHCP is equipped to help you leverage your human capital potential. Through applied science, we can help you richly understand how your existing team members or prospective employees behave, what drives them, and which soft skills they contribute at work. Matthew Brogie, COO, Repsly, Inc.